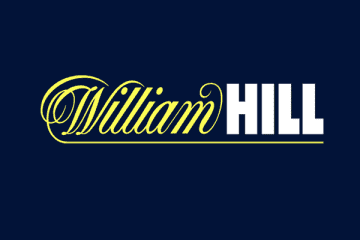 They may not be the biggest online casino and sportsbook in the UK. But the chances are that most online bettors will at least have heard of NetBet before. This site debuted in 2001, so they are one of the longest-lived sports betting sites around. Offering a NetBet casino and sportsbook experience to their users. With a spot of lottery, poker and Vegas-style gaming thrown in to boot. 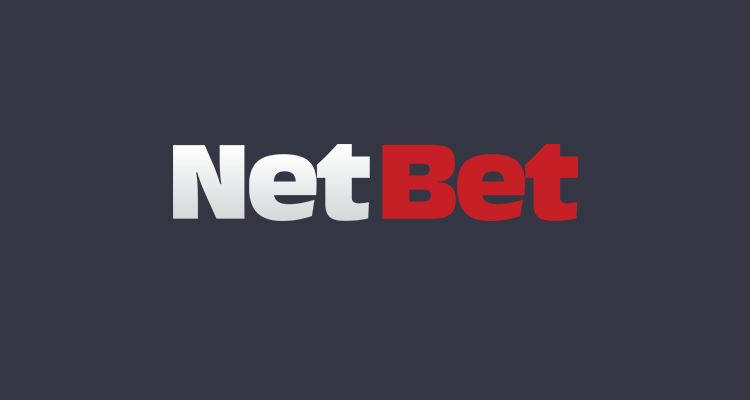 NetBet is a respectable gaming domain to play at. NetBet offers quite a versatile gaming experience. With downloadable, instant play and mobile casino gaming platforms available for players to use. The site is also well licensed, and legal for UK players to enjoy. As they carry a UK Gambling Commission license. Popular with sports betting fans and casino game lovers alike. NetBet offers all newbies a £25 free bet when they bet £10 or more on any single sports bet. Casino players can claim an alternative casino bonus which promises a 100% match worth up to £100. As well as 10 free spins on games in the Vegas site when they join up. Pop into NetBet’s casino site, and you’re likely to come across something that suits your needs. The NetBet casino site is equipped with games from the likes of Net Entertainment, iSoftBet, Evolution Gaming, Play ‘n Go, Pragmatic Play, NYX Interactive, Quickspin, Ainsworth, Amaya Gaming, ELK Studios, Bally Tech, Barcrest, Big Time Gaming, Gamevy, IGT, Leander Games, Lightning Box Games, Microgaming, NextGen Gaming, Novomatic, Pariplay, Playson, Realistic Games, Shuffle Master, Tom Horn, Williams (WMS) Interactive, and Yggdrasil Gaming. Those games span all manner of titles, including the most popular casino games, new games, holiday season specials, NetBet’s own selection of top hits, as well as jackpot, slots, roulette, blackjack, card games and scratch cards. Players can search for games by provider. Or by genre, or even by typing in what they are after into the search box provided at the site. Live dealer casino games are provided by Evolution Gaming. So there is quite an array of those for you to choose from, too. 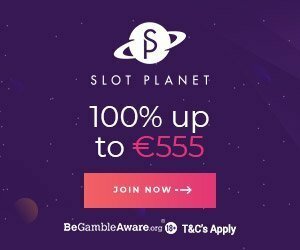 If you don’t like NetBet casino, try Casumo or Slot Planet. They have a lot of slots available. Like any casino, players tend to gravitate towards the slot machine games housed at the casino. Wild-o-Tron 3000, Jingle Spin, Vikings, Wild Bazaar, Coins of Egypt, Double Stacks, Berryburst and its MAX version, Starburst, Paranormal Activity, Battle Royal, Rich Wilde and the Book of Dead, Cops ‘n’ Robbers, Foxin’ Wins, Ivan and the Immortal King, Lake’s Five, Redroo, Halloween, Immortal Romance and Thunderstruck II make up just a few of the top games you can play at NetBet Casino. If you like to play bingo, check the best bingo sites. If you wish to unlock the inner sports bettor inside yourself, NetBet can help there, too. Their sportsbook offers live in-play bets, and provides great action, including early cash out options and snap bets. An in-depth stats centre keeps players in the heart of the action, too. 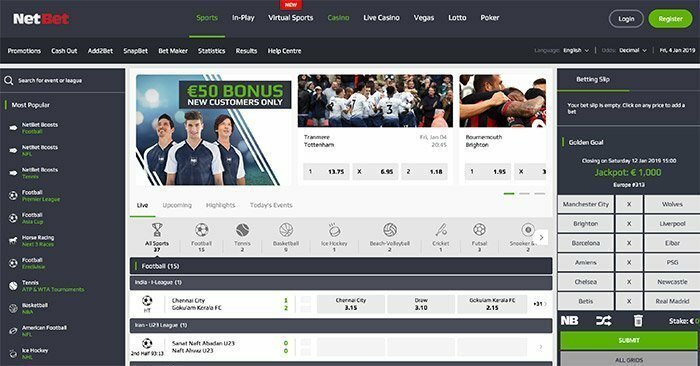 Amongst the possible sporting events players can bet on at this site are football, horse racing, darts, basketball, American football, ice hockey, greyhounds, tennis, motorsports, cricket, rugby and over a dozen more. Mobile gameplay is not NetBet’s forte, although that doesn’t mean that players cannot access the website while on the move. There is a mobile app for NetBet players to use. But it is really only functional for the sportsbook side of the casino. If you want to play casino games as well, you are advised to use an alternative option. Check Slots Million to play slots on mobile devices. By visiting NetBet in your phone or tablet’s web browsing app, you can easily visit a smaller, mobile-friendly version of the main NetBet hub. From there, you will be to access all manner of mobile slots and table games. NetBet Casino does offer support and assistance to players, just as you might expect any major gambling domain would. UK players will likely find all they are looking for in the frequently asked questions (FAQ) guide which is provided at the site. That can assist them with advice regarding payments, their account, bonuses, gaming and betting, responsible gaming, terms and conditions, contact information and general info about the site. Should you need a more in-depth, one-on-one experience, NetBet offers support via e-mail, telephone (from noon until 8pm GMT) and live chat from 9am to 11pm GMT. If you have any questions regarding security at NetBet, their team will happily assist you. However, we can already tell you that NetBet is licensed by the UK Gambling Commission. So they are a fully legal site for UK-based users to play at. Moreover, the site is audited by iTech Labs and uses SSL (secure socket layer) encryption to ensure that data is protected according to the latest industry standards and norms. The GBP currency is the standard for players to use when playing at NetBet. Using this currency, players can deposit using VISA, MasterCard, AstroPay, Skrill, Giropay, Bank Wire, Neteller, Bitcoin, Euteller, Paysafecard, wire transfers, Trustly, Boku, WebMoney and half-a-dozen other options. All deposit methods are free from charges, with most deposit methods having limits set between £10 and £5,000. Withdrawals can be processed with PayPal, MasterCard, VISA, Skrill, Neteller, WebMoney, AstroPay, Trustly, and wire transfers. At least £10 must be withdrawn, but there are seldom caps on withdrawals. All withdrawal methods are free, with processing times taking between 2-4 days for all options barring e-wallets. Visit NetBet and Play Online! NetBet newbies who want to try their hand at the sportsbook can claim a free £25 bet at the site. Players need to deposit and wager at least £10 to claim this offer. 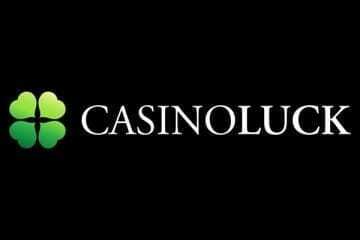 If casino games are more ideal for you, the site offers a 100% match deposit bonus worth up to £100 for newbies who deposit at least £50 using the promo bonus code of NBWELCOME. That offer also comes with 10 free spins on any slots found at NetBet’s Vegas site. Aside from the welcome bonus, NetBet’s sportsbook, poker and casino sites also carry a range of other deals. Visiting each of their sites and clicking on their respective promotion tabs will showcase the current selection of promos and bonuses they are offering. Bear in mind that many of these are time-based offers. So players may need to move quickly if they wish to snap them up.